All Marketplace Exhibitors are listed in alphabetical order. Logos are hyperlinked to the organization's website. The Marketplace floor plan has been updated with a fresh new look for 2018. It has been redesigned to allow easier traffic flow to the back of the show and has increased available booth spaces by 7 (now 74 available spaces). The New floor plan and exhibitor package are available below. Affinity Group Tours is one of Western Canada’s most respected and well-known tour operators. Since 1983 we have been organizing music and education travel for student groups. Our motto is “creating memories for life”. We specialize in custom music performance tours and music festivals internationally and throughout North America. Book your next tour with us! 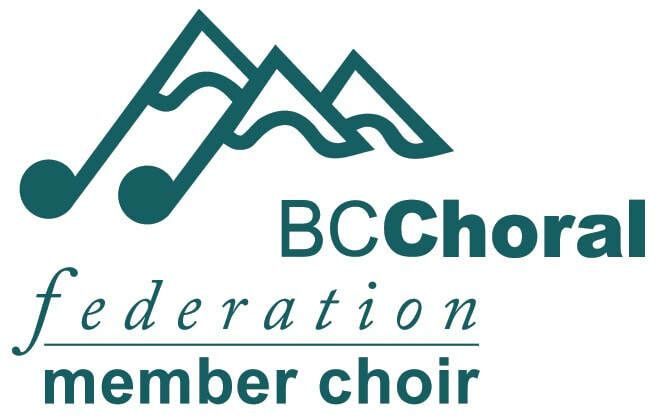 The BC Guild of English Handbell Ringers began in Abbotsford in 1993. 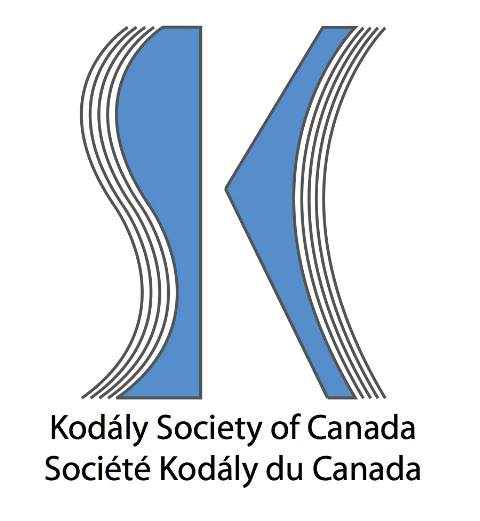 The British Columbia chapter of the Kodály Society of Canada aims to support music education of the highest quality and promote universal music literacy and lifelong music making. BCKSC promotes the Kodály concept "Music is for Everyone" through professional development including workshops, journals and networking. The BC Orff Chapter's purpose includes promoting quality music education, by providing professional development opportunities that promote the Orff approach to teaching music. Children have a natural instinct to move, create their own music and explore their imagination. A child's personal growth is enriched through cooperative group experiences. Buffet Crampon USA is the global reference in wind instruments and North American distributor of Buffet Crampon, Besson, B&S, Antoine Courtois Paris, Hans Hoyer, Keilwerth, Melton Meinl Weston, Verne Q. Powell, J. Scherzer and Schreiber. A national program for young Canadians aged 12 to 18 who are interested in participating in a variety of fun, challenging and rewarding activities while learning about the Sea , Army and Air activities of the Canadian Armed Forces. CUBA interactive, collaborative, educational, performance based programmes with a cross cultural focus. Capilano University offers a comprehensive program for all students looking to pursue a career in music. With offerings such as the University Music Diploma Program, Jazz Studies, Conducting, and more, Capilano University is the place to be! Graduates of the program who have pursued further studies have successfully developed rewarding careers in the following fields: Elementary, Secondary and Post-Secondary Education, Private Music Instruction, Conducting, Composition, Musicology, Performance (Voice and Instrumental), Music Therapy, Music Criticism and Music Publishing. Our goal: every child to have access to a quality music program as a part of a well-rounded education. Contact us regarding Music Monday, the Principals of Music Awards, and Champions for Music. Volunteers always welcome; send us your music parents! In just over a decade, Coast Music, a division of Jam Industries, has established itself as Canada’s premier distributor of musical instruments and accessories. Facing many challenges in a fiercely competitive environment, Coast Music has distinguished itself by providing superior customer service and representing the integrity of its business partners, each a high profile leader in its respective market segment. Unprecedented professional service is combined with a formidable sales force. Each member of the team possesses a clear vision and understanding of their objectives. The Coast Music team is comprised of over 30 seasoned professionals. Our managers and salesmen were recruited from all sectors of the music industry. Together, they embody the most capable and experienced team working in Canada. Each one of our reps has an outstanding reputation amongst our dealers. Conn-Selmer, under a portfolio of brands, is the leading manufacturer and distributor of musical instruments for student, amateur, and professional use. With a tradition of innovation and superior musical performance, brands such as Vincent Bach, C.G. Conn, King, Holton, Selmer, Armstrong, Leblanc, Ludwig, Musser, Scherl & Roth, Glaesel and William Lewis & Son have earned a legacy of respect unparalleled by any other builders. Conn-Selmer is also the North American distributor of Henri Selmer Paris woodwinds, the US distributor of Yanagisawa saxophones, and the global distributor of the Jiggs pBone (the world's only plastic trombone). Through its educational outreach team, led by Dr. Tim Lautzenheiser, Conn-Selmer is the industry leader in providing support and advocacy tools specifically tailored to music education. Conn-Selmer, Inc. is a subsidiary of Steinway Musical Instruments, Inc.. Founded in 1966 by a group of prominent composers, the SMCQ is a well established non-profit organization with the mandate to promote Canadian music. In addition to an annual concert season, a biennial international New Music festival and flourishing Tribute Series, the SMCQ Youth component offers various special projects to involve kids in experimenting new works and creating music of their own. In keeping with its goal to build bridges between artists, educators and new generations, the SMCQ commissions works for children's choirs and offers free educational material to discover Canadian composers and explore music creativity in schools (see smcqeducation.ca/en/ ). Counterpoint Musical Services is a wholly Canadian owned company serving Canadian retail stores for more than 20 years. We specialize in string, wind and brass instruments and accessories. 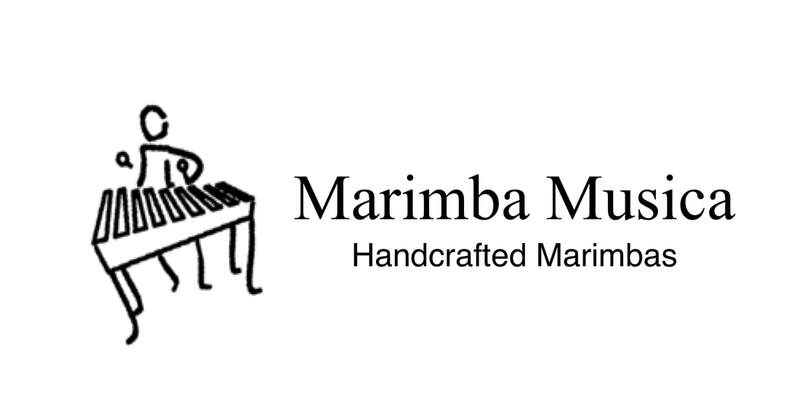 We represent such fine products as Thomastik-Infeld, Jargar, and Pirastro strings, Bam cases, Nuvo Instruments, Wittner accessories and metronomes, BG France Accessories, Rovner Ligatures, and are the exclusive Canadian distributor for Stentor Instruments, Odyssey Band Instruments, Harpsicle™ Harps, Legere and Marca Reeds, and Seydel Harmonicas. We are happy to be back at the BCMEA Conference to display the many lines we carry which can be purchased at your favourite local retailer. D’Addario and the D’Addario brands combine to deliver a comprehensive, one-stop shop for all your musical needs. D’Addario strives to manufacture all it’s products in the USA and is committed to being an environmentally conscious company. Brands include D’Addario, Rico, Evans, Promark, Planet Waves, and Puresound. In Canada, a number of brands are exclusively distributed throughout the country namely; BeaverCreek, Tycoon, Suzuki, and more! We offer a Bachelor of Music University Transfer Program, a one-year Basic Musicianship Certificate, and a two-year Music Technology Diploma. Our Community Music School offers a range of non-credit group classes for youths and adults. Founded on the principle that travel provides a uniquely immersive, interactive and dynamic learning experience, Educational World Tours offers an exciting array of student tour packages and custom trips geared to the specific requirements of high schools, colleges, alumni groups and educational institutions. Educational World Tours has been partnering with educators since 2002, collaborating to create hundreds of bespoke student travel itineraries to explore the different cultures, landscapes, peoples and lifestyles across Canada, the US, Europe, Latin America, Asia and Africa. Ellison Travel & Tours is a full service agency specializing in customized tours and has enjoyed particular success with music groups and is now the largest operation in Canada specializing in festival and performance tours. Created with the best interest of music educators and their students in mind, Con Brio Festivals are built on a team approach involving educators, former and current band, choir and orchestra parents and students, college and university music education majors, and community volunteers. Our purpose is to support the pursuit of excellence and inspire a lifelong love of music in each participant. Over 50,000 musicians have come to the Con Brio Whistler and Sun Peaks Music Festivals since we began in the year 2000. When choosing a festival, please be sure to avoid any possible confusion between Con Brio Whistler and Con Brio Sun Peaks and another festival just a week apart from us in the same locations. We are proud to be the ORIGINAL Whistler and Sun Peaks Music Festivals and we remain dedicated to creating an inspiring educational experience for all of our participants. We look forward to welcoming you. Empire Music specializes in early childhood and classroom instruments, books and accessories. We stock over 2000 music education products including Suzuki and Emus Orff, recorders, rhythm and percussion, guitars and ukuleles. Empire Music publishes the Windsongs Recorder method, the Little Ukers series, and Ukulele in the Classroom and The Ukulele Way materials by James Hill. Contact us for quality products, friendly service and prompt shipping, all backed by our 30-day no-quibble return policy. Proudly family-owned and Canadian since 1948. Fun with Composers resources, by Deborah Ziolkoski, brings classical music to life with a unique union of story and song in an appealing interactive approach. Dancing Bugs, Ringmasters and Snobby Pears are just a few of the fascinating characters unveiled in the power of storytelling in our lessons. Each well-known piece comfortably draws children into the intriguing world of classical music as they quickly embrace drama, song, movement, instrumental play and art.Our approach nurtures the many ways which children learn, provides fun visuals, imaginative stories, and many opportunities for creative improvisation. The Global Alliance of Concert Tour Operators represents a group of leading Destination Management experts. Each member is an owner operated company which is considered the foremost Concert Tour specialist for their region. When it comes to concert tours, GACTO has the world covered. North America, South America, Europe, Asia, Australia, Africa and beyond. Groove Masters Percussion is based in Vancouver, BC, Canada. We specialize in djembes, hand drums, drum sets and other ethnic and unique percussion from around the world. We supply high-quality instruments at affordable prices and maintain an active repair shop to support our valued customers. Special pricing is available to schools and educators! Today, Hal Leonard is the world's largest educational music publisher, with the #1 methods for learning guitar (the Hal Leonard Guitar Method), piano (the Faber Piano Method), and school music instruments (Essential Elements for Band and Strings), plus publications for learning virtually every instrument imaginable. Hal Leonard is also the leading publisher of songbooks; Real Books and fake books; sheet music; band, orchestra and choral arrangements for schools; music reference publications; children's music products; educational magazines; and more. Many new titles are enhanced with supplemental audio and video files online for download and streaming. The company leads the way in technology, developing eBooks, digital sheet music, apps and more. Hal Leonard operates many popular websites including SheetMusicDirect with thousands of songs arranged for different instruments available for download, and GuitarInstructor.com for online guitar lessons and tab. In 2014, Hal Leonard made a substantial investment in Noteflight, LLC, an innovative music technology company dedicated to reinventing the way people create, share and use digital sheet music. This online community allows users to edit, display, play back and share music notation in a cloud-based web browser, on any device. Noteflight has an active subscriber base of nearly 1.5 million music enthusiasts and educators. In its catalog of more than 200,000 available titles, Hal Leonard represents many of the world's best known and most respected publishers, artists, songwriters, arrangers and musical instrument manufacturers. Its products are sold in more than 65 countries throughout the world through Hal Leonard offices and a large network of distributors. Domestically, the company markets to more than 7,500 music stores in the United States and Canada through a team of 50 in-house sales representatives. Our goal is to build high quality, great sounding, solid wood drums at a price that the average musician can afford. The woods we use range from familiar species to exotic woods. Each of these specific woods has its own unique sound and tonal qualities. Every shell is individually hand crafted using the stave construction method. The heart of KPU’s music program is an opportunity to explore multiple musical genres, including classical, jazz, popular, and world traditions as well as establish skills and gain knowledge critical for a successful career in the music and music-related industries. The program fosters students' creativity and versatility, equipping them to adapt to changing market demands and to apply learned theory and practice in a variety of cultural and service sectors. Long & McQuade is Canada's largest music retailer with 63 locations across Canada. We sell a wide range of musical instruments and professional audio products, including rentals, sheet music, and accessories. We also offer repair services, clinics, and lessons in our Lesson Centres. Long & McQuade is dedicated to music education, supporting arts organizations and educational programs year round.